You can use ABsee to quickly view the image files in the folders by Thumbnails, icons, and list, to quickly display previews of the image files and to view the files in full screens or slides. Conveniently, you can use Absee to set up the image files as wallpapers or print them out. Also, you can view the properties and the exif information of the image files, and save the image files as different formats. 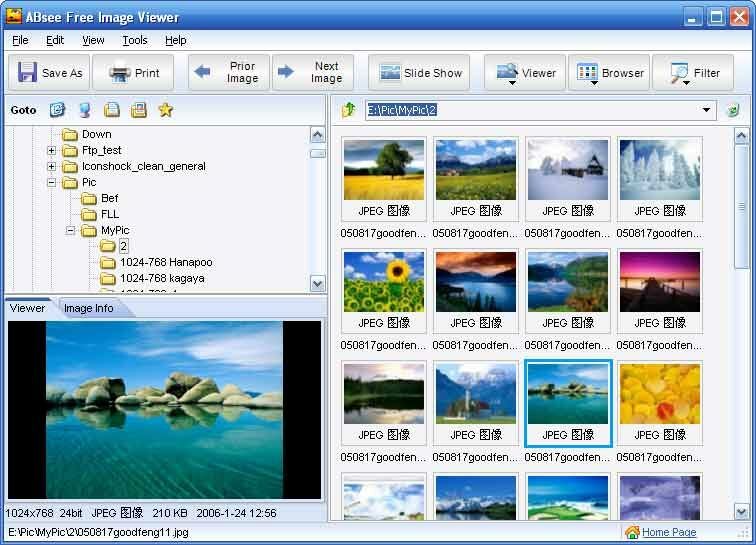 Absee contains an image-editing tool, which can be used to manipulate the image files, such as changing size, rotating angle, adjusting contrast and other special manipulations. If the opened file contains several frames, you can pick one of the frames or save it as a new file.